The reigning king of bluegrass music's FIRST recordings as a band leader. Del McCoury, who initially rose to fame as the singer in Bill Monroe's band, recorded his high lonesome sound for Arhoolie Records with the legendary banjoist Bill Emerson and fiddler Billy Baker. This is bluegrass music at its finest! Del McCoury (vocals & guitar) , Billy Baker (fiddle & vocals) , Bill Emerson (banjo & vocals) , Wayne Yates (mandolin & vocals) , Tommy Neal (bass - December 9th) , Dewey Renfro ‚(bass - December 10th). Recorded on December 9 & 10, 1967. 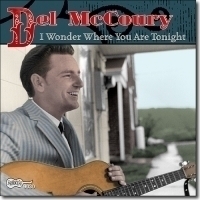 What followed began McCoury’s “solo” career, as he formed Del McCoury and the Dixie Pals.